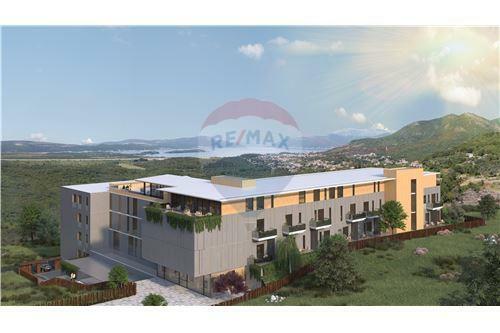 Brand new residential complex in Tivat! 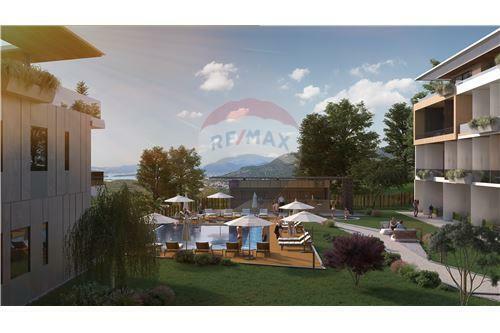 Montenegrin coast got a brand new residential project that is rising in a very strategical location, equipped with state-of-the-art facilities, modern and finest quality materials while also giving to potential investors the Service Apartment Concept. The project consists of 92 luxury units consisting of Studio,1 Bedroom, 2 Bedrooms, 3 Bedrooms, and Penthouse apartments. Geographic position is heavenly. 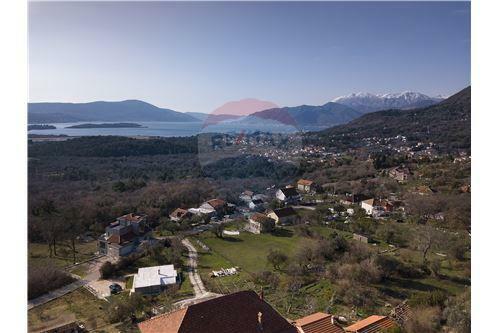 The project is ideally positioned at only 7 minutes from Porto Montenegro, 6 minutes from Tivat International Airport and 9 minutes from Kotor old town. use the air conditioner! The fresh air is a great remedy for all aspirational health issues. The project offers everything one can imagine. It features an incredible infinity pool, full sea view, jacuzzi, snack bar, gym, playground for children, sauna, basketball court, mini-market, indoor-outdoor carpark, 24-hour security & cameras, and housekeeping. Designers and architects envisaged this project as a top-notch one, and in its construction, it has only been used natural stone, marble and all the highest quality material. You will enjoy the peace and tranquility right next to the city, looking at the sea and hearing birds chirp, in the environment full of lush nature and fresh air. Developers of a project created a model where investors can earn EURO based HIGH-INCOME investment. Not to mention they may stay in their unit whenever they desire. The concept creates high rental income to investors by applying weekly rental model upon their properties during the times they decide not to stay. One may choose to stay in the apartment whenever he/she wishes and management company will rent out apartments within the period of absence. - There is an AII-Year-Round tourism market in Montenegro due to its appealing location, historical, cultural and natural wonders which attract millions of tourists from all around the world. - Besides, as a result of the increase in demand for accommodation in spacious and contemporary flats due to the global trend, the interest in high-quality Service Apartment concept is accelerating rapidly. 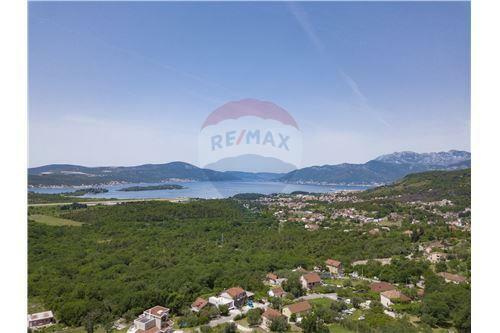 - Montenegro has become a big opportunity for investors willing to get a residence and work permit in a European country. In case of this project, investors are able to renew their residence permit by getting it through an individual sales agreement or extend it under the name of the company which will be managed throughout all the process of the establishment. In case of purchasing the property under a company name, at the end of the 5th year, they become eligible for a permanent residence permit or citizenship application. This project’s apartments have a flexible payment plan with 30% down payment and 24 months, 0 interest installments. 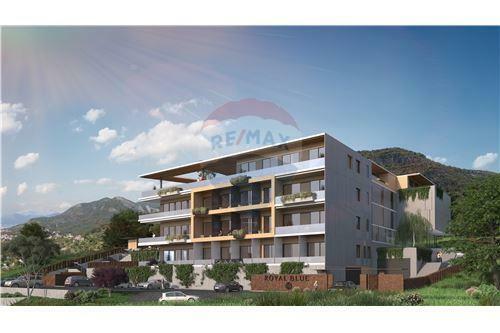 When the investor joins the rental system with this project, their yearly income will be an average of 9,25%. 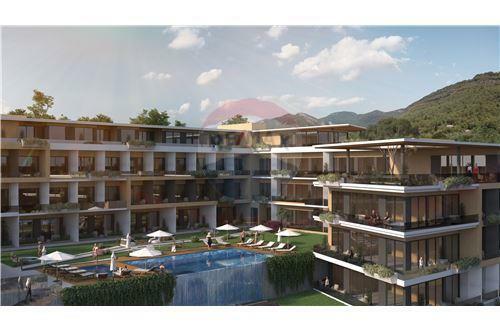 Montenegrin coast got a brand new residential project that is rising in a very strategical location, equipped with state-of-the-art facilities, modern and finest quality materials while also giving to potential investors the Service Apartment Concept. The project consists of 92 luxury units consisting of Studio,1 Bedroom, 2 Bedrooms, 3 Bedrooms, and Penthouse apartments. Geographic position is heavenly. 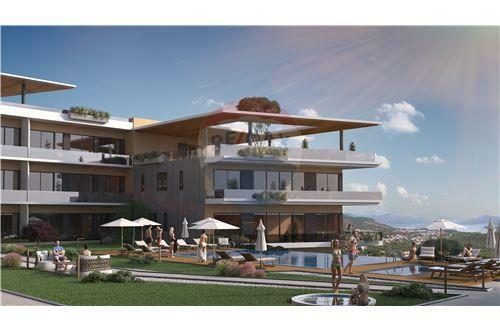 The project is ideally positioned at only 7 minutes from Porto Montenegro, 6 minutes from Tivat International Airport and 9 minutes from Kotor old town. At the front, there is the sea, while behind there is the mountain! In summertime you can feel the cool air coming from the mountain, you won’t even need to use the air conditioner! The fresh air is a great remedy for all aspirational health issues. The project offers everything one can imagine. It features an incredible infinity pool, full sea view, jacuzzi, snack bar, gym, playground for children, sauna, basketball court, mini-market, indoor-outdoor carpark, 24-hour security & cameras, and housekeeping. Key features * Infinity pool * Jacuzzi * Snack - Pool Bar * Playground for kids * Gym * Sauna * Basketball Court * Mini-market * Reception * Indoor-outdoor car park * 24-hour security & CCTV * Housekeeping Designers and architects envisaged this project as a top-notch one, and in its construction, it has only been used natural stone, marble and all the highest quality material. 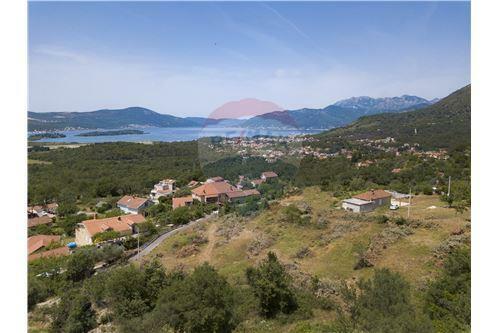 You will enjoy the peace and tranquility right next to the city, looking at the sea and hearing birds chirp, in the environment full of lush nature and fresh air. 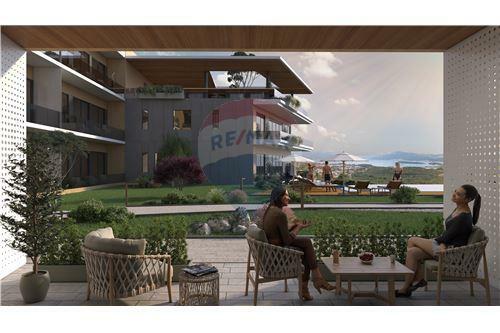 SERVICE APARTMENT CONCEPT Developers of a project created a model where investors can earn EURO based HIGH-INCOME investment. Not to mention they may stay in their unit whenever they desire. The concept creates high rental income to investors by applying weekly rental model upon their properties during the times they decide not to stay. One may choose to stay in the apartment whenever he/she wishes and management company will rent out apartments within the period of absence. 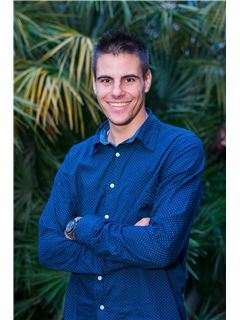 The project offers a Customized Management Model for potential investors inspired from the below facts for this model: - There is an AII-Year-Round tourism market in Montenegro due to its appealing location, historical, cultural and natural wonders which attract millions of tourists from all around the world. - Besides, as a result of the increase in demand for accommodation in spacious and contemporary flats due to the global trend, the interest in high-quality Service Apartment concept is accelerating rapidly. 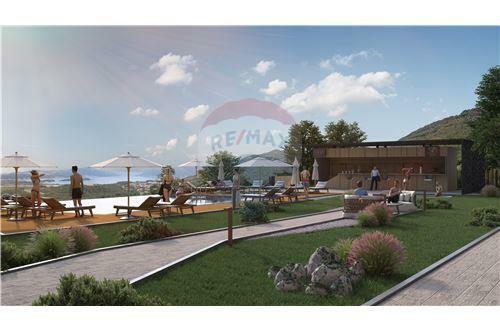 - Montenegro has become a big opportunity for investors willing to get a residence and work permit in a European country. In case of this project, investors are able to renew their residence permit by getting it through an individual sales agreement or extend it under the name of the company which will be managed throughout all the process of the establishment. In case of purchasing the property under a company name, at the end of the 5th year, they become eligible for a permanent residence permit or citizenship application. Payment Plan This project’s apartments have a flexible payment plan with 30% down payment and 24 months, 0 interest installments. Rental income When the investor joins the rental system with this project, their yearly income will be an average of 9,25%.